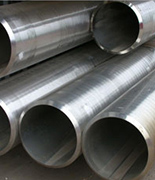 Duplex Pipe, Duplex Steel Pipes, Super Duplex Steel Pipes, Duplex Seamless Pipes, Super Duplex Seamless Pipes, ASME SA790 Duplex Pipe Suppliers and Exporters in Mumbai, India. 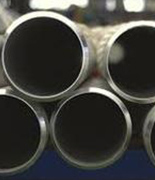 Ferritic / Austenitic Welded Pipe Exporter, Suppliers of ASTM A790 Duplex Stainless Steel Seamless Pipes, Super Duplex Steel Welded Pipe Exporter, Duplex Steel Pipe Manufacturer in Mumbai, India. Ganpat Industrial Corporation offers a wide range of Duplex and Super Duplex Stainless Steel Pipes, which has the same benefits as its counterpart. 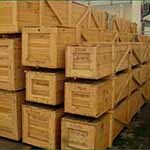 We also offer these products in different grades such as Duplex 31803 Pipes, Duplex S32205 Pipes, Super Duplex S32750 Pipes, and Super Duplex S32760 Pipes. Ganpat Industrial Corporation is one of the well-known trader and dealer of Duplex Steel Seamless Pipes, which is a stainless steel designed for applications which demand exceptional strength and corrosion resistance. 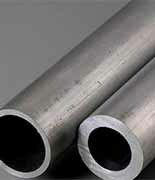 Super Duplex Steel Welded Pipes is a mixed microstructure of austenite and ferrite (50 / 50) which has improved strength over ferritic and austenitic steel grades. 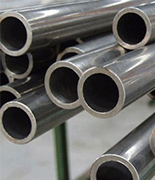 The main difference is that these Duplex Steel EFW Pipes has a higher molybdenum and chromium content which gives the material greater corrosion resistance than standard duplex grades. 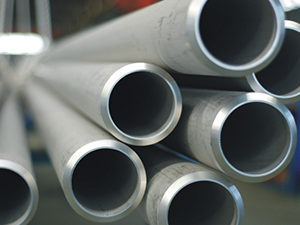 The balanced dual phase microstructure of Super Duplex Steel ERW Pipes combines high strength with cost effective corrosion resistance particularly in high chloride environments. 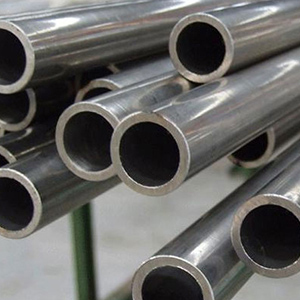 These Duplex Steel Round Pipes has lower alloying costs when compared with similar ferritic and austenitic grades with equipment corrosion resistance in chloride containing environments due to the materials increased tensile and yield strength. In many cases, Super Duplex Steel Square Pipes gives the purchaser the welcomed option of purchasing smaller thicknesses without the need to compromise on quality and performance. Meanwhile, these Duplex Steel Rectangular Pipes has 25 % chromium, 4 % molybdenum, and 7 % nickel. 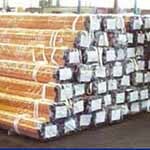 Duplex Seamless Pipe may be furnished bare or coated and with capped ends. pipes up to 3” OD will be supplied in bundles. In order to prevent rust during sea shipment, bundles of Super Duplex Seamless Pipe may be wrapped with polypropylene sheets, and secured with flat steel bands. Over 3” OD will be supplied loose. Petaling Jaya, Port-of-Spain, Singapore, Visakhapatnam, Hanoi, Cairo, Thiruvananthapuram, Abu Dhabi, Kanpur, Bangkok, Rio de Janeiro, Seoul, Colombo, Surat, Pimpri-Chinchwad, Karachi, Bengaluru, New Delhi, Haryana, Nashik, Howrah, Baroda, Thane, Pune, Vadodara, Kuwait City, Nagpur, Ahvaz, Lahore, Algiers, Kolkata, Ulsan, Jakarta, Manama, Caracas, Rajkot, Secunderabad, Chiyoda, Doha, Muscat, New York, Ho Chi Minh City, Mumbai, Dallas, Los Angeles, Lagos, Ernakulam, Tehran, Sharjah, Dammam, Edmonton, Al Khobar, Navi Mumbai, Istanbul, Busan, Mexico City, Melbourne, Jamshedpur, Kuala Lumpur, Ankara, Faridabad, Geoje-si, Riyadh, Milan, Aberdeen, Calgary, London, Vung Tau, Bhopal, Hyderabad, Coimbatore, Ludhiana, Indore, Sydney, Gimhae-si, Noida, Al Jubail, Ranchi, Dubai, Ahmedabad, Moscow, La Victoria, Jeddah, Madrid, Jaipur, Brisbane, Perth, Toronto, Santiago, Hong Kong, Houston, Gurgaon, Atyrau, Bogota, Granada, Montreal, Chandigarh, Courbevoie, Chennai.